On Thursday 2nd March it is World Book Day. 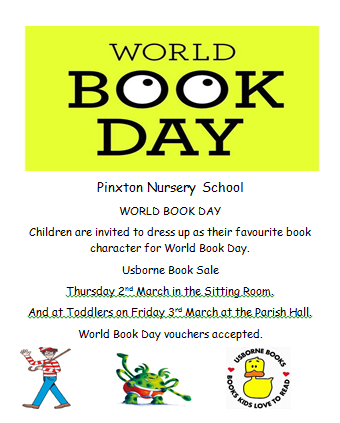 Children are invited to attend dressed as their favourite book character. Any Scholastic book orders are needed back in Nursery by Monday 13th March Please.